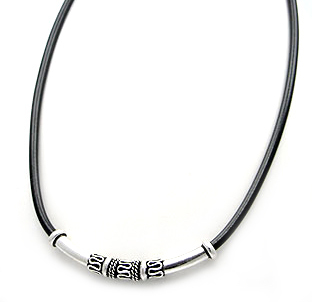 This manly fashion accessory is certain to be a hit for a guy with a love of modern style -- a striking sterling silver and rubber necklace. The high-quality materials ensure that it can be worn at the office or at play. Length: 18".